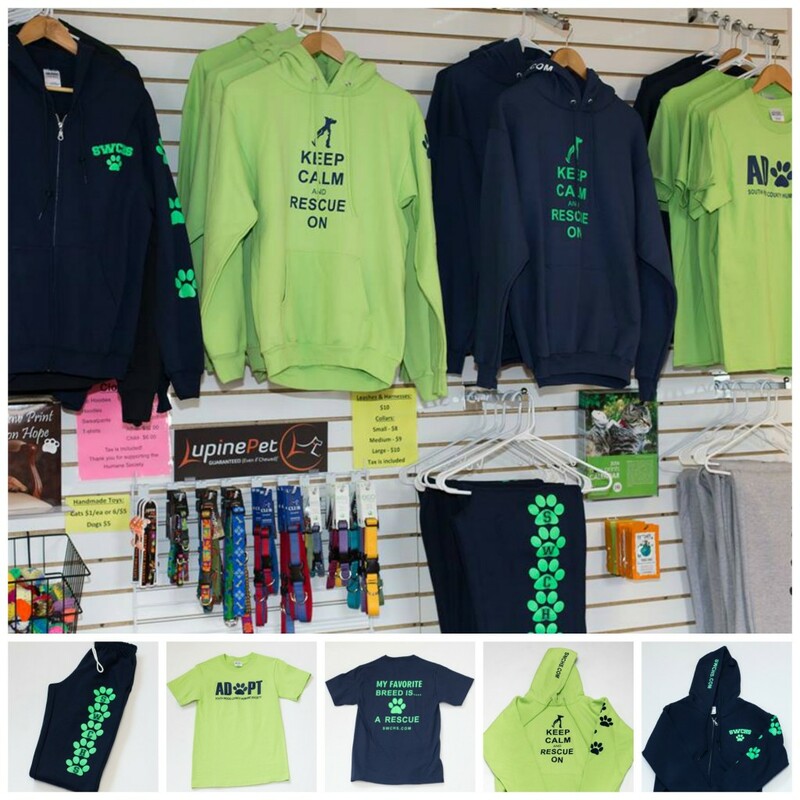 Display your SWCHS pride with merchandise from our shelter store. Visit the South Wood County Humane Society lobby today to find clothing, leashes, harnesses, toys and more! The store is open during regular humane society business hours.